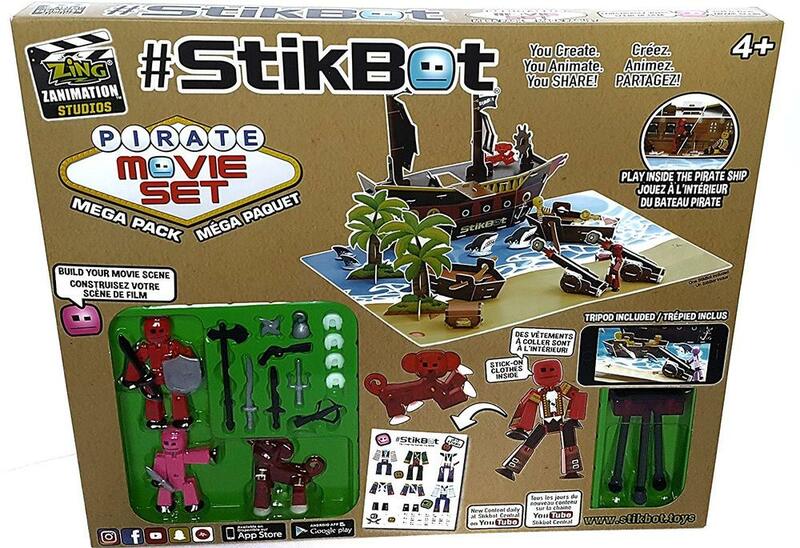 Stikbot turns kids into creative moviemakers. 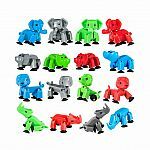 These easy-to-pose figurines with strong suction cup hands and feet can stick to almost any flat surface. 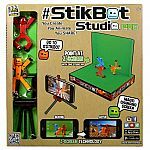 With the free mobile app, Stikbot Studios, available on iOS and Android, kids can shoot their own stop- snaps individual photos and stitches them together into a film, complete with built-in music and sound effect options motion movies starring Stikbot. Everywhere becomes a stage -- the kitchen, the living room, the school bus, or anywhere around the world! 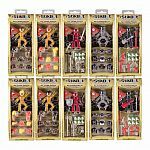 Don't forget to upload and share the creation on social media with #Stikbot and see what creative talents are making all over the world! Create your movie scene, animate, and share! Tripod and stick-on clothes included. 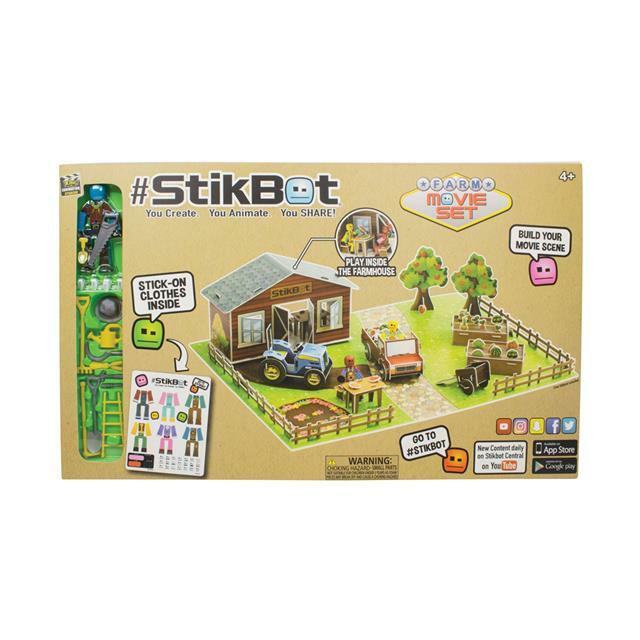 New content daily at #Stikbot central on YouTube. 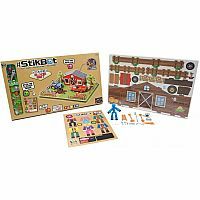 Bring your imagination to life with Stickbot movie sets! Download the free app for iOS and android. 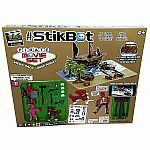 Zing Stikbot studio, to start creating your stop-motion movie, then share your masterpiece with #Stickbot for all your friends to see! 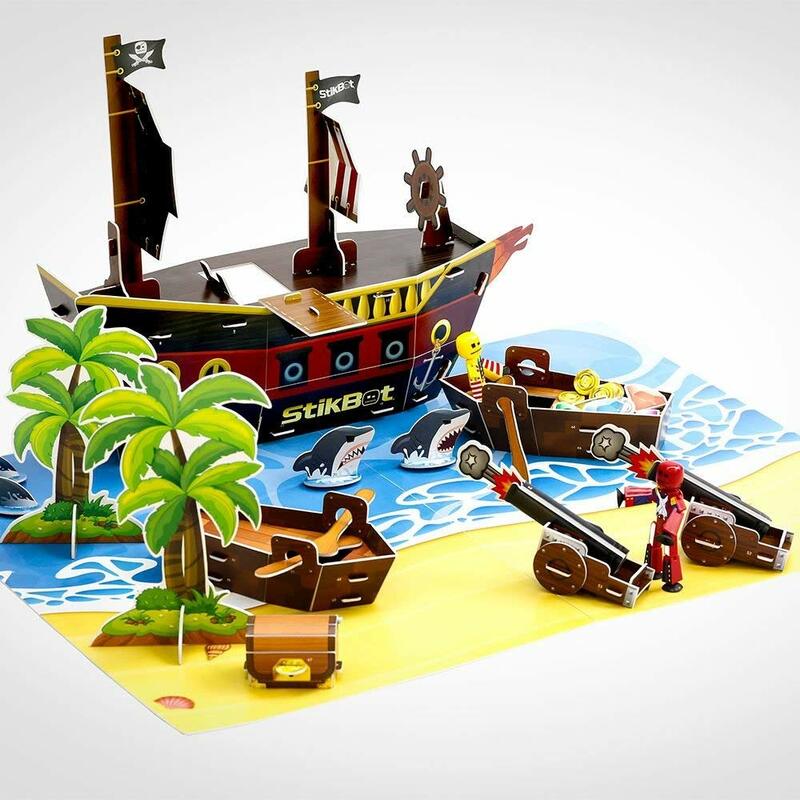 Makes a perfect gift for the aspiring director!